The wings you've been waiting for. 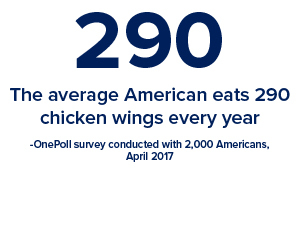 We know how important wings are to your menu. Patrons love ’em, and they often look to operators to wow them with something new. 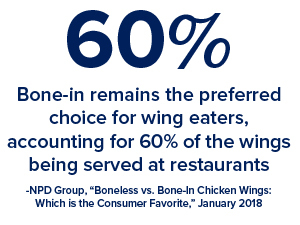 That’s why we’ve added more options to the Tyson Red Label® product line, including four new bone-in wings and three new boneless flavors. When you’re ready to do your thing, you can count on us to bring the wing. 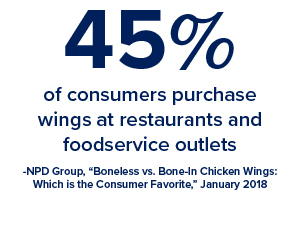 Try new Tyson Red Label® bone-in and boneless wing products and get a rebate up to $500. We created the Tyson Red Label® product line to give you an easier, more efficient way to source the most popular forms and flavors of chicken. Now there's even more goodness than before with the addition of our new wing offerings. Tyson Red Label® wings can be quickly and efficiently prepared using multiple cooking platforms.